Globally popular messaging platform Viber will add a new self-destructing chat feature to its iOS app later this week (via The Verge). The new feature, called "Secret Chats", gives users the option of starting entire conversations that self-destruct after a certain time limit. Users can prevent messages within the secret chat threads from being forwarded to other conversations. The feature also notifies users on iOS when someone takes a screenshot, and blocks screenshots altogether when chat threads are viewed on an Android smartphone. 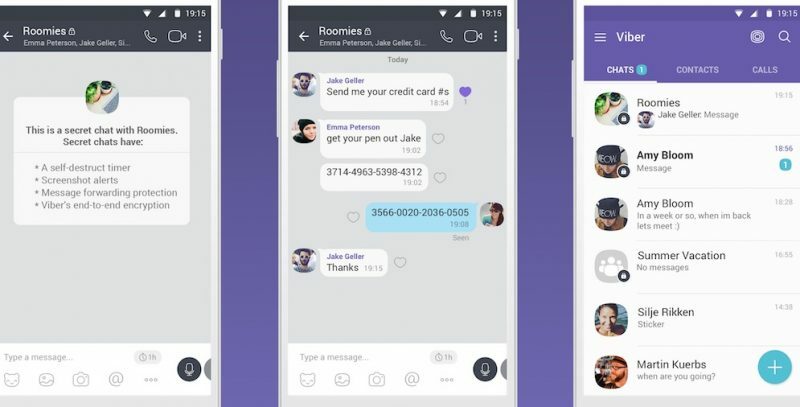 As with all Viber chats, the messages are end-to-end encrypted, while users can also opt to hide Secret Chats behind a PIN code. The feature comes hot on the heels of the "Secret Messages" feature the company introduced earlier this year that lets users specify how long individual messages can be accessed for after being viewed by the recipient. Viber has more than 800 million registered users worldwide, with particularly strong followings in parts of Asia and across eastern Europe and northern Africa. Stupidest. Idea. Ever. Has anyone ever heard of a screenshot? The feature also notifies users on iOS when someone takes a screenshot, and blocks screenshots altogether when chat threads are viewed on an Android smartphone.